Belle-Skinner is a singer-songwriter with a hauntingly beautiful, lilting soprano and innate sense of melody. She crafts tales of songbirds, sirens and desert nomads—nuanced and layered stories which bridge the gap between past and present. Her voice draws comparisons to Joni Mitchell, Jeff Buckley, and Angel Olsen. Robinson Treacher's emotionally dramatic songwriting style is matched only by his deeply passionate vocals. He won the 2018 Independent Music Award for Best EP Roots/Country/Singer Songwriter/Americana for his album “BORN”. He's shared the stage with Vince Gill, Iris Dement, and Cheryl Wheeler. Rachael Kilgour is the 2015 winner of the international NewSong Music Performance & Songwriting Competition and the 2017 Kerrville New Folk Contest. She has been featured at NYC’s Lincoln Center, at The Kennedy Center in Washington D.C. and by the ASCAP Music Cafe at the Sundance Film Festival. Jeremy Aaron has performed solo and in the band Spuyten Duyvill at small venues and major festivals throughout the country. His songs tell of Ecuadorian shadows, magic lights, Adirondack evergreens, beggars’ coins, train tracks, and road trips. His fiddle gets your toes tapping and his guitar evokes memories of nights around the campfire. Sophie performed extensively with her father (of Buskin and Batteau fame) before embarking on a solo career. She has performed at venues throughout the New York area, including opening for Livingston Taylor. Her songs have been described as wise, laced with sly humor, and containing melodies that are different and surprising. Born and raised in Washington, DC, Dan Whitener has hit the Billboard Bluegrass charts as a banjo player with both Emmy-nominated bluegrass-hiphop band "Gangstagrass" and Philadelphia’s own Newgrass Americana band "Man About A Horse". His song "We Are Gonna Be Okay" is featured in Spike Lee's latest movie" BlacKkKlansman". Serena Jost writes and performs songs that are at turns seductive, edgy, and otherworldly. A dynamic singer and cellist with a hauntingly beautiful voice, she is a unique performer whose music evokes vivid emotional landscapes. 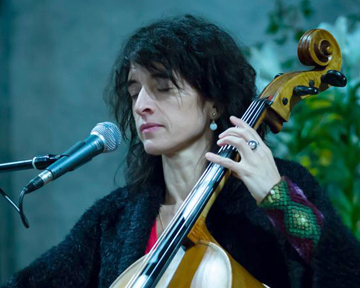 She recently completed a new solo album recorded at NYC's St. Peter's Church. Mike Tedesco is a Brooklyn pianist/singer-songwriter who is a member of the legendary New York Songwriter's Circle. He's been featured on radio, TV shows and music blogs, received Honorable Mention for his song "Ghost" in the Mid-Atlantic Songwriting Competition, and opened for Sarah Guthrie and the Mammals at the Huntington Folk Festival. 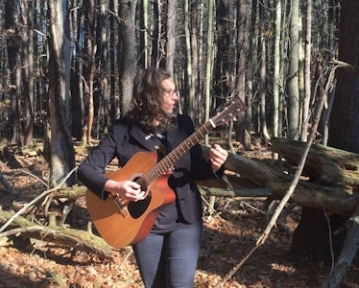 Hailing from the rich musical history of the Catskill Mountains in New York State, Katie Martucci grew up singing, and playing fiddle and guitar. Since graduating from New England Conservatory, Katie has toured the country with her trio, The Ladles, and started a solo career leading a nine-piece band performing original music that is lush and arresting. Don't miss this. 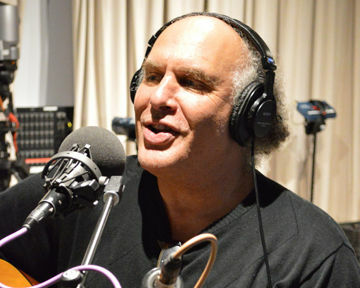 Philip has been recording his music since 1975 and has a small worldwide following. With the re-release of his first album in 2017 by the Tompkins Square, his songs have come to the attention of a wider audience. In 2019 a new motion picture, "Skin" will feature Phil's original 1975 version of his song 'Watercolours', a song of shattered dreams. Canadian born singer-songwriter Francis Falls’ solo acoustic guitar & vocal performances expand on the folk singer persona, blending an Americana edge and roots style. Francis’ powerful delivery and straight up, unvarnished stage presence is at once frank and honest, drawing you into your own emotional narrative. Joshua Garcia is a songwriter whose powerful lyrics and deeply moving vocals evoke comparisons to Woody Guthrie and Bob Dylan, his boyhood idols. He has gone from a virtual unknown to one of the most sought after singers in the NYC folk world, opening for Don McLean in November. Featuring songs replete with expressive melody and lush harmony, Caves & Clouds is the minimalist dream-folk duo you’ve always wanted. Featuring veteran songwriters E. W. Harris & Jo Kroger, the duo from Brooklyn's Big City Folk Collective has toured from Georgia to Texas, in the UK and Europe, and in NY. Jen Cork is the kind of powerful singer/songwriter who silences bar rooms with one vocal phrase. She enjoys ruminating on rusty objects, spaces, and emotions, and the energy and rubble they hold. She was named Ithaca’s "Best Female Singer" of 2015. Don't miss this rare NYC appearance. Billy Woodward is a roots singer-songwriter whose unique songwriting and storytelling, paired with his life-long love of traditional R&B, country, blues and rock & roll, creates a seamless collection of authentic Americana. 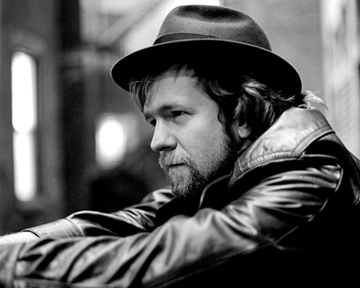 His latest EP, "The Beast In Me", was recorded live at the legendary Sun Studio in Memphis. If you wish you had heard Joan Baez in her Greenwich Village days, take the opportunity to hear Kirsten Maxwell now. She has won a number of songwriting competitions and garnered rave reviews at venues and festivals all over the East Coast, recently opening for Melissa Etheridge. A welcoming community of belonging and affirmation for children, adults, and families. For more information visit our website: unirondack.org. Summer Camp changes lives.